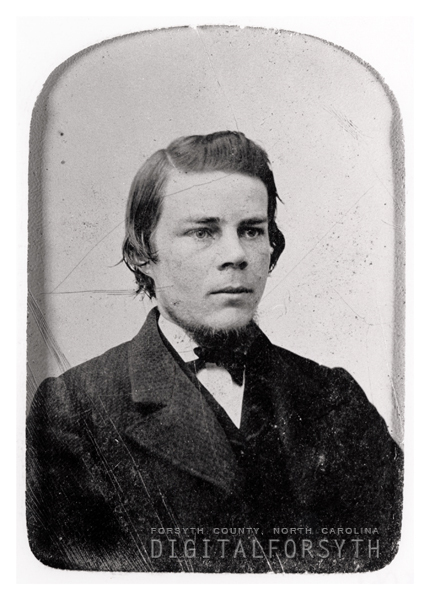 Henry Alexander Lineback (1839-1932) was the son of John Henry Leinbach and Elizabeth Leinbach nee Schneider. In 1868, Henry constructed a photography studio on the north end of his father’s house located on Main Street in Salem. On August 8, 1876, Henry married his assistant, Susan Elizabeth James, and they later had two children. Henry was Salem’s only career photographer and retired around 1922. Henry Alexander Lineback (Leinbach) was my great-grandfather. I was named after his wife, Susan Elizabeth James (Jacobus). My mother, Isabel Wenhold Veazie, grew up with them in the family house at 508 South Main Street in Salem and was very fond of them. She said Henry was a gentle, rather shy person. Henry Alexander Lineback (1839-1932) was the son of John Henry Leinbach and Elizabeth Leinbach nee Schneider. In 1868, Henry constructed a photography studio on the north end of his father's house located on Main Street in Salem. On August 8, 1876, Henry married his assistant, Susan Elizabeth James, and they later had two children. Henry was Salem's only career photographer and retired around 1922.